Mardi Himal situated in the southern part of Annapurna Range is one of the most unspoiled trekking destination. Mardi Himal Peak Trek offers an opportunity to explore religious villages and endless diversity of culture along with spectacular Mountain scenery. This is perfect trekking trail for trekkers who loves remote wilderness, less crowded and pristine beauty in peaceful environment. 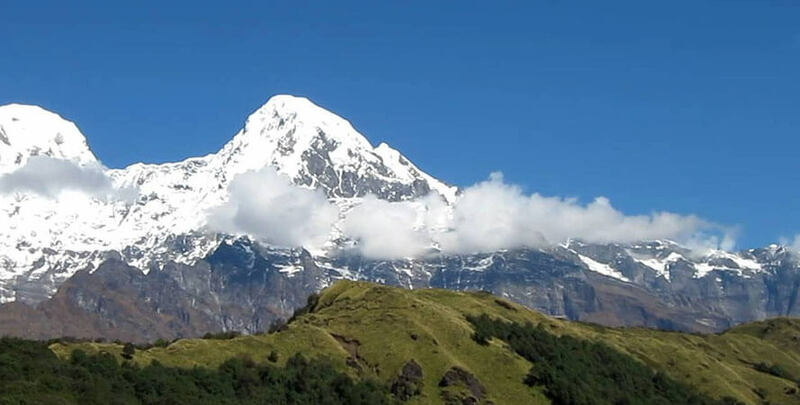 Obviously, the peak has commanding view of the Annapurna ranges and undoubtedly a spectacular one of Fish Tail Peak locally called as Machhapuchhare Himal. 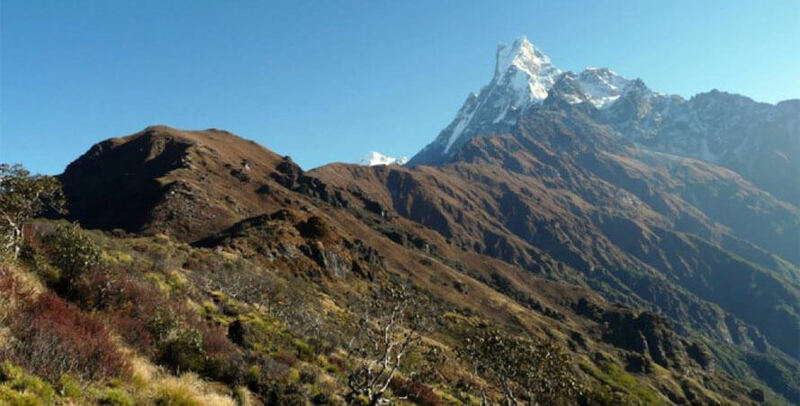 Few trekkers visit the valleys and ridges south of Mardi Himal which are steep sided and heavily wooded with bamboo and rhododendron which provides good grazing and a habitat for undisturbed wildlife. 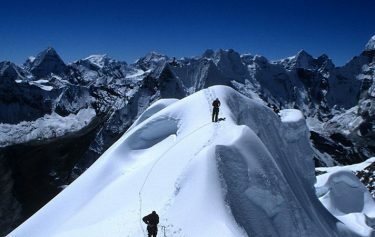 Small scale exploratory mountaineering can be done because of its low altitude. It is not necessary to have any hiking or trekking experience and knowledge for this trek just normal walking is enough but somewhere may present climbing challenges at a reasonable standard. 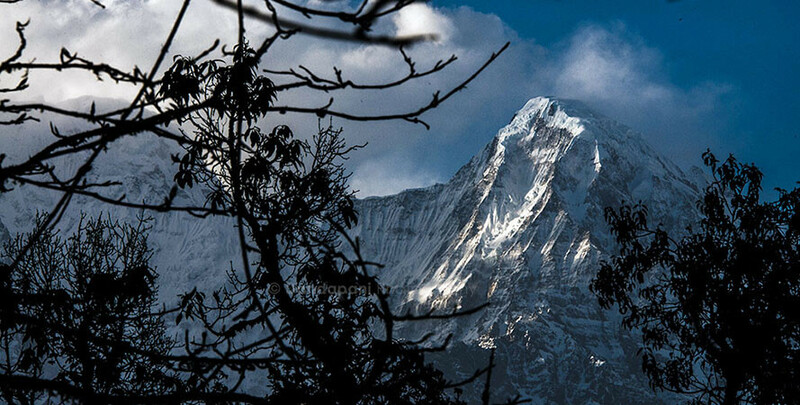 spectacular one of Machhapuchhare the “Himalayan Matterhorn,” better known as Fish Tail Peak. 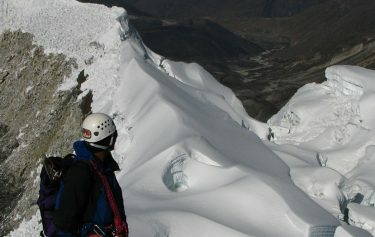 Few westerners visit the valleys and ridges south of Mardi Himal. They are steep sided and heavily wooded with bamboo and rhododendron. Great opportunity to visit a beautiful city Pokhara. Day 05: Acclimatization/Exploration day at Pipa. Drive from Kathmandu to Pokhara along the scenic zigzag hilly roads that takes approximately five to six hours. Pokhara is a beautiful town set on the banks of the Fewa Lake. we will take another short drive towards the village of Hyenja - the starting point of the trek. Following the trail that goes along the bank of Mardi Khola before crossing the river. We will continue our trek along the banks Seti Khola, passing through beautifully terraced farmlands to reach the village of Gyachok. We will continue to trek higher up through paddy field terraces towards the village of Dhiprang. We will pass along two more villages - Mirsa and Kaduwa, which are the last settlements that we will come across. We will make a steep climb through the dense forest. Ascend into higher altitude through dense forest until we reach towards a break out point into the open air. During our up-hill struggle we will have opportunity to spot several species of birds and wild animals. Acclimatization is very essential especially in higher altitudes. Explore. 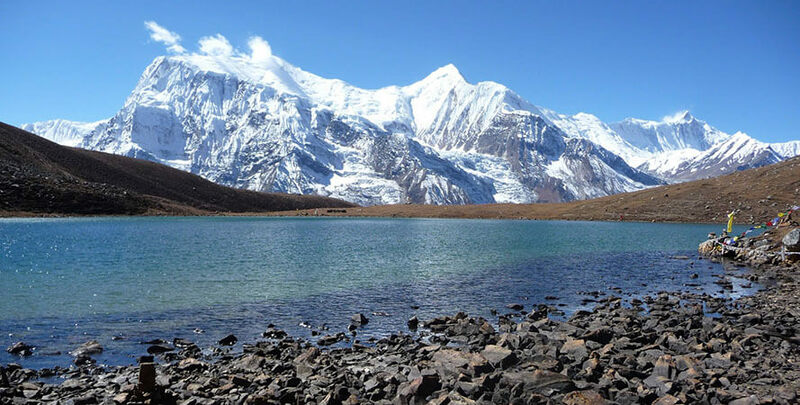 After spending a good acclimatization day at Pipa, we will continue our trekking that climbs up the ridge line with striking views of Manaslu Himalayan ranges to the East and the Annapurna and Dhaulagiri Himalayan ranges to the West. 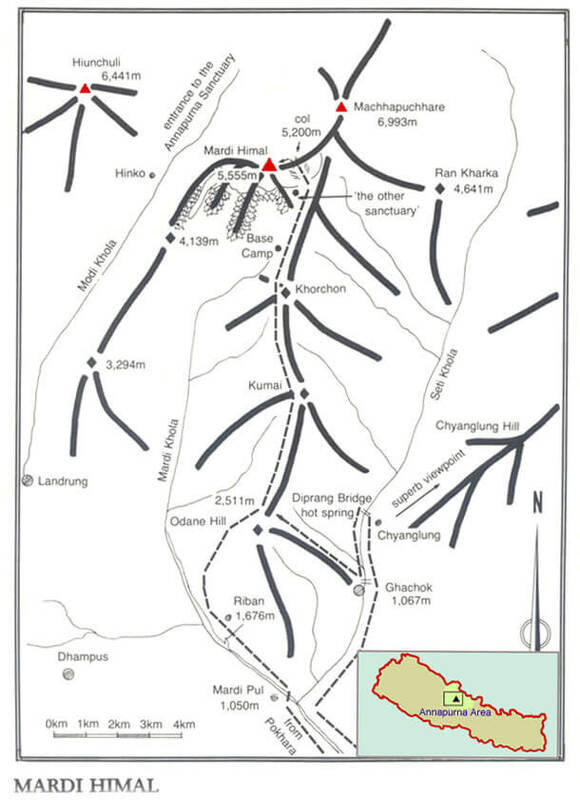 The entire route connecting Mardi Himal Base Camp is visible from our campsite at Thulo Kharka. Leaving Thulo Kharka we will follow the trail towards the base camp that takes approximately around 2 - 3 hours of walking. 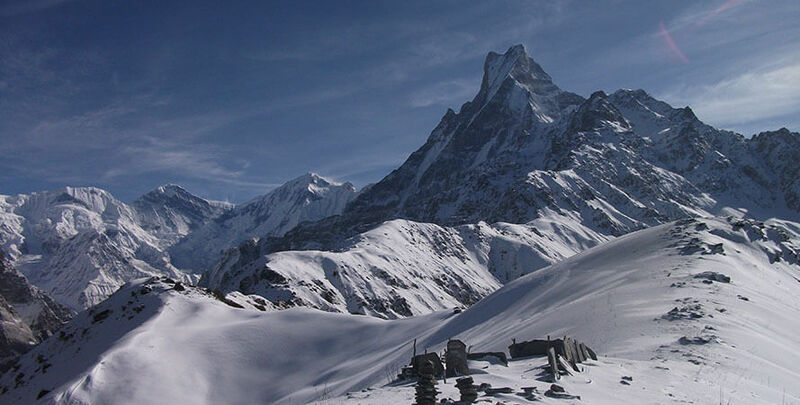 Mardi Himal Base Camp is situated in the valley between the south and southeast ridges of Mardi Himal. 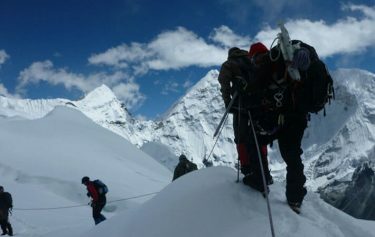 We will leave the base camp and start climbing steeply up for 200 meters and then traverse around the south-east ridge. From there we will continue to make a steady climb over the rocks and perhaps with some snow towards a good camping site. As soon as we reach our campsite, we will set up our camps, check that everyone is properly acclimatized and make necessary arrangements of the climbing equipment’s for climbing the summit tomorrow. We will start early for the successful climb, as the strong winds after midday will make it almost impossible to summit the peak. 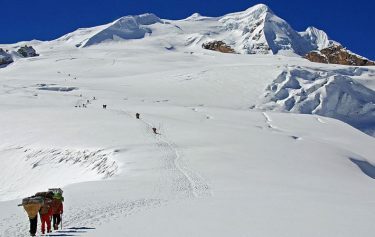 The first part of the climb leads to the East Col at 5400 meters between Mardi Himal and Machhapuchhre (Fish-Tail) which is approximately 4 hours of tiring climbing. 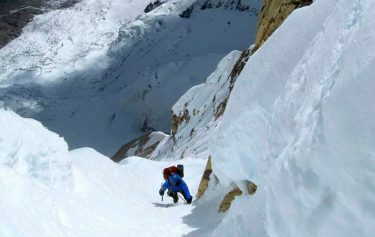 Using our climbing equipments and following the footsteps of our experienced climbing experts we will make a very long snow climb which is not steep but very tiring. So, resting every now and then is very important as we head towards the top of the Col. From here it will take about one more hour of climbing over a pleasant snow ridge to the top of the summit . 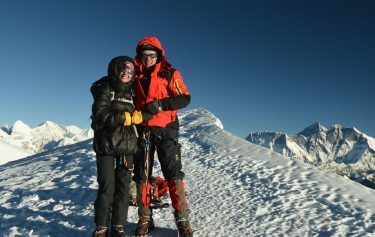 Once at the summit, we are rewarded with great views of Annapurna mountain ranges and surrounding high peaks. From the base camp we will follow the trail that traverses around the south ridge towards a col at 4280 meters with magnificent views of surrounding high peaks. Along with the great views we continue to trek towards the grazing pastures of Korchon where we will camp for our overnight stay. Leaving the pastures of Korchon we will descent steeply downhill towards the col below Odane Hill. During our trek today, we will have magnificent views of Machhapuchhre, Annapurna I, Annapurna II, Annapurna IV, Manaslu, Annapurna South, Hiunchuli, Himalchuli and Dhaulagiri. We will continue to follow the ridge line that heads south and passing through dense forest we will arrive at Riban. From Riban it is a pleasant walk as we pass through Lachock. From there we will cross the Mardi Khola and Mardi Pul to reach Hyenja. From Hyenja we will take a scenic drive over zigzag hilly roads that will take us back to Pokhara. 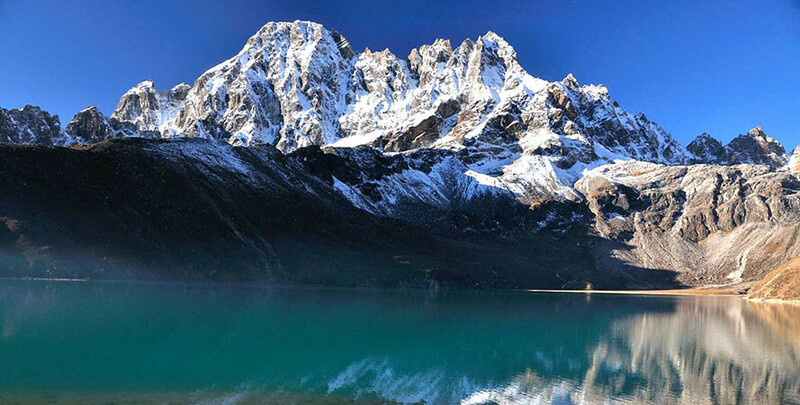 Pokhara is home to thick forest, emerald lakes and a place of remarkable natural beauty. The reflection of the Machhapuchre (Fish-Tail) Himal over the serene Fewa Lake makes this place truly magical.